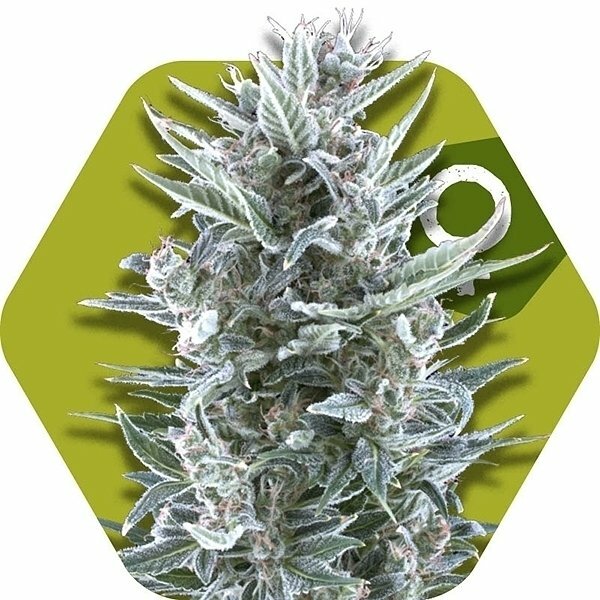 Blueberry is a predominantly Indica hybrid based on two famous milestones in cannabis history, namely Blueberry and Northern Light, and an Indica from Afghanistan. Despite the strong Indica influence the plants can attain a height of up to 110-150cm, but it is recommended to trim her to make her grow in a more bushy shape. Blueberry responds well to LST and performs great in both SOG and ScrOG setups. Blueberry is ready for harvesting after 8 weeks of flowering, when the extremely resinous buds emit a deliciously sweet and fruity aroma - granting her an additional week results in a slight loss of flavor, but it increases the physically stoned effect. She may not the best yielder with harvests amounting to 300-500g/m², but the quality of the end product is top shelf and filled to the brim with both THC and CBD. Smoking this weed fills the mouth with the taste and sweetness reminiscent of fruit juice. super parfum et très douce a fumer,bien la laisser sécher . Best seeds I've ever buyied. Only few weeks and you'll have a fantastic Blue Magnum Plant.